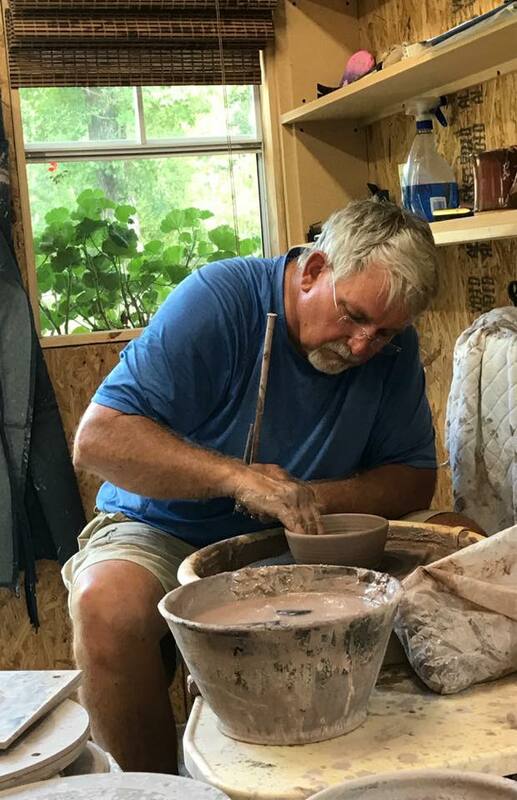 Our stoneware pottery comes to your table from the rural town of Wadesboro, NC. Many of the designs are inspired by the country at our doorstep and by collectors who enjoy and use our pots. Granny Hollow Pottery is extremely durable pottery - oven proof, microwave and dishwasher safe. It's tableware for real life - meant to be used daily and not admired merely for its beauty. Our pieces make unique and wonderful gifts and brides frequently ask to register with us. Please note that our selection is constantly changing as pieces are sold and new pieces are created. Hours: M - F 8:00 - 5:30 and Sat. 8:00 - 4:30. Location: GHP is located on US Hwy 52 North in Wadesboro, North Carolina, just north of the intersection with Hwy 74, and about one hour east of Charlotte, NC. 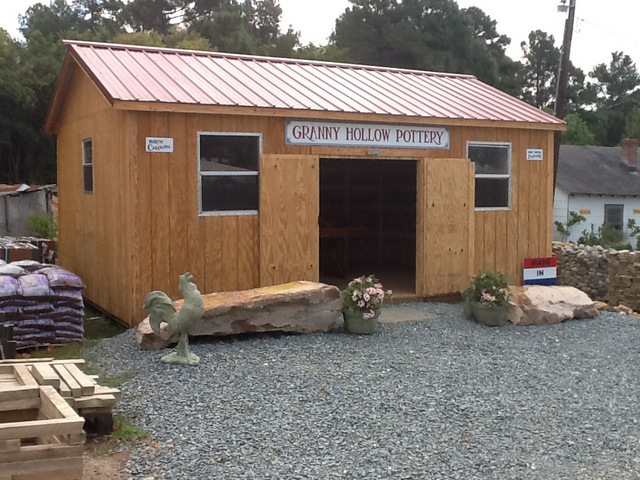 You'll find the GHP pottery building at the same location as Beachum Landscaping Materials.